Snapchat is the No. 1 app for human trafficking. Kik Messenger is the “defacto app” for child predators. And, at just eight years old, a child can be profiled online. These are just a few of the alarming statistics that investigation expert Michele Stuart recently shared with the nearly 200 parents, teachers, and school administrators at the Chester County Safe Schools Summit at Rustin High School. Each speaker stressed the importance of online safety and how this issue is being addressed in Pennsylvania on the statewide, local, and school levels. Stuart, owner and operator of JAG Investigations, Inc., was the keynote speaker for the Summit. An instructor at the FBI Academy at Quantico and former adjunct professor at the University of Virginia, Stuart’s significant professional experience and passion to keep children safe from online predators positions her as an expert on internet safety. 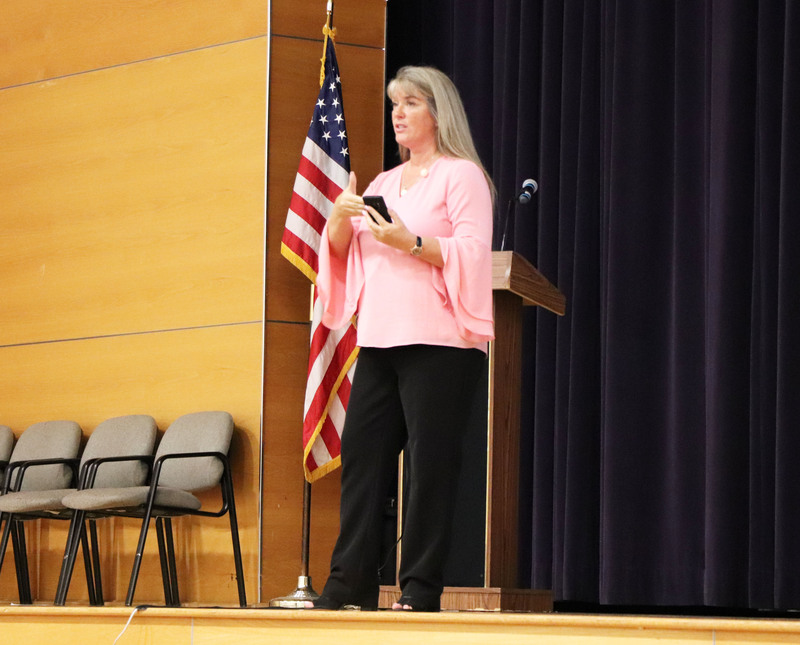 During Stuart’s presentation, audience members learned the signs a child will show if they are being cyberbullied, how to prevent and stop cyberbullying, the most popular apps children are using to communicate, and how those apps can be dangerous. Stuart also spoke about how to monitor children’s use of communication online through apps and how to be open, so children feel comfortable talking to parents and caregivers about serious issues. For more information about the Safe Schools Summit, please contact communications specialist Anthony Saraceno at anthonys@cciu.org or 484-237-5371 or special events coordinator Jay Stone at JayS@cciu.org or 484-237-5053.